You will be aware that we are due to get a visit tomorrow from storm Ophelia. While we hope that it will be less dramatic than forecast, I have shared the guidelines from the National Emergency Coordination Group. Met Eireann has this evening extended the Red Weather Alert for the whole country. All unnecessary travel should be avoided on Monday, while the storm is passing. Don’t travel in Red level warning areas during the height of the storm unless absolutely necessary, and take due care if travelling in all other areas. Listen to local radio and national media broadcasts regarding the current weather situation. High seas predicted, the public are advised to stay away from coastal areas during this period. Very strong winds are predicted making driving conditions hazardous, especially for the more vulnerable road users, e.g., cyclists, pedestrian’s, motorcyclist and high sided vehicles. Road users should pay particular attention to the risk posed by fallen trees and flying debris. Given anticipated weather conditions, tomorrow should be a no bike day. Power outages are likely to occur in certain parts of the country, with contingency planning activated by the ESB. The ESB is advising the public to stay away from fallen cables that may have broken due to the high winds. ESB Emergency Services can be contacted at 1850372999. Bus Éireann’s schools transport services will not be operating in counties covered by Red level warnings. Because of the duty of care owed to children and to avoid the risk arising from travelling, the Department of Education and Skills is instructing all schools to act on the Department‘s advice and remain closed. Crèches and Montessori facilities should also remain closed tomorrow. People are asked to check in on isolated and vulnerable neighbours today in advance of the oncoming severe weather conditions and again after the worst of the event has passed. People are advised to remove patio furniture, rubbish bins and any loose items from around buildings, which can be turned into missiles by the wind. The public are again reminded to monitor Met Éireann forecasts for their area and to be aware of the weather conditions and to heed safety warnings. Information is available across social media platforms and other traditional media sources. Please take heed of the guidelines and stay safe. After several previously failed attempts, we understand that a determined group of raiders from the West of Ireland are planning a targeted mid afternoon heist in central Dublin today. The are expected to use the motorway network for a fast getaway but they may also take refuge in a number of safe houses in the area marked with green and red flags. Many dispute the true ownership of the targeted silverware with other groups reportedly also laying claim to be its true home. Keep an eye out for gangs of highly decorated supporters from both sides. Be prepared to wish them well and expect cheering shouting to emerge from in front of TV screens across the neighbourhood. We wish the best of luck to both Dublin and Mayo this afternoon. Thanks to all who contributed to a very successful Neighbour’s night which was held in Westmanstown Golf Club followed by a meal and music in the Vue restaurant in Castleknock Golf club. Particular thanks to our social committee and to our MC on the night Liam Delaney who was masterful as ever. The course in Westmanstown was in terrific shape and the weather behaved itself with the exception of one brief thunder storm. The team at the Vue restaurant also took great care of us and the music added to the night. A special thanks to all the local businesses that sponsored golf and spot prizes on the night. They receive many requests for sponsorship their support for our local group is much appreciated. and with individual contributions from Ruth and Alan Hogan, John Nolan and Cathal O’Reily. To all who attended, we hope you enjoyed and thank you for your support as always. Feedback is welcome on what we could do next year to improve. Tee times below for our golf outing. The format will be an 18 hole scramble. Starter may need to change teams on the day based on player availability so please understand. Most of all – Enjoy!!!! Gardaí in Dublin have issued an appeal to the public for their assistance in order to trace the whereabouts of a woman who was last seen in Dublin city centre. The woman Aishling Donnelly, aged 34, was reported missing after she was last seen on O’Connell Street at approximately 3.30pm on Thursday 17th August. 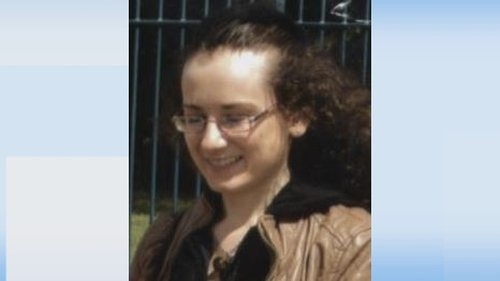 Aishling is described as being 1.65m (5’5) tall with brown shoulder length hair. When last seen Aishling was wearing a blue jacket, a silver jumper, and jeans. Gardaí are urging anyone with any information to contact them at Store Street Garda Station on 01-6668000, the Garda Confidential line on 1800-666111 or any Garda station. I hope that you are enjoying the summer – sunshine, clouds and rain. I am sure that you will have noticed the roads are quieter as many of our neighbours are on holidays. Let’s make sure that they come home to a safe and secure house by keeping a close eye on suspicious vehicles, tradespeople, collectors and listening out for alarms. Bogus trades are a particular concern this time of year as they use their presence to identify houses that are empty. If you see bins left out after they have been collected, kindly bring them back in to avoid advertising that a house is empty. If you are going on holidays – leave a key with a trusted neighbour or friend and let other neighbours know who has this in case of emergency. Travel safe and be prepared to do the same for your neighbours on your return. We had a good turnout for the talk from Sgt. Vincent Connolly last month. Thanks to Liam and Carmel and all for holding the fort while I was travelling and to Shivaun for taking notes to share with you all. Some notes and suggestions below from the talk. Of course we do not want to live in a fortress take sensible suggestions from below that suit your needs. Most burglaries are opportunistic – open cars, bicycles left unlocked, doors and windows left open (particularly in the hot weather) – use of tools from your shed if unlocked to assist break-in. Sounds obvious but try not to be an easy target in this regard. A good way to assess the security of your house is to look at your house from the road and consider – if I was locked out, how would I break in to my house? Have I left bins or chairs to enable someone to hop over my side gate? Have I left tools accessible in my shed that could be used to force a window or door? Do trees and shrubs provide natural shelter for would be burglars while they attempt to break in? Keeping these pruned may allow your neighbours and passers by better visibility of what is happening outside the front of your house. Or consider defensive planting – holly or something prickly if you have potential access from a rear or the side. Consider bringing your side gate forward in line with the front of your house to remove another blind spot. An arched side gate is more difficult to climb. Keep your keys safe at night. Do not store near windows and doors. Consider fitting a deflector on letterbox or consider a sealed letterbox from An Post. External lights at night – make your home less attractive – consider LED lights – dusk till dawn. LIDL and ALDI often have ‘fake TVs’ that simulate TV flickering in rooms for when you are away. Use your alarm. Distraction burglaries – can I use your phone? can I get a glass of water? Can I ring an ambulance? Do not let a stranger into your house. Bogus trades – also an excuse to access your house. Special pricing offers, doing a job for your neighbour. Very often charge excessive rates and have been known to bring people to ATM to get cash out. Only use trades that are known to you. Bogus collectors – another reason to access houses and check for empty houses. Also very many are for profit rather than for charity. Do not advertise by posting on social media that you will be away. If you come across a burglar – do not engage. Phone 999 or 112 and alert the Gardaí. Get yourself to safety and inform a neighbour. A fire plan is as important as a security plan. Make sure that you can get easily out even when your home is locked. Test and maintain alarms and plan your escape route. Do not keep cash in the home. If you have valuables, take photos of jewellery and keep a list of valuables. Consider marking property with your Eircode using a UV pen. Thanks to Sgt Connolly and Garda Alex McDermott for their time and thank you for your continued support. Below are the minutes of the 2017 AGM of the Pines and Hadleigh Neighbourhood Watch. The meeting was held in St. Brígids Parish Centre, Beechpark Castleknock at 8.15pm Monday 24 April 2017. Attendance: Approximately 40 neighbours plus Garda Alex McDermott from Blanchardstown Garda Station.